Grove Roofing installed a Sarnafil PVC roof system on this Western New York landmark project in 1996-1997. 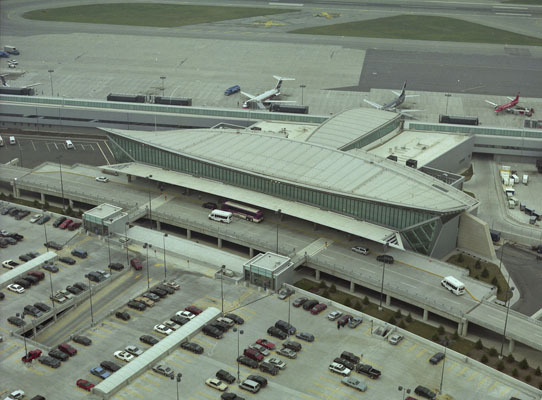 Located in Cheektowaga NY, the airport serves Buffalo & Southern Ontario. This roof project is notable for the battens that were designed jointly by Grove Roofing and Sarnafil. This unique roof feature led to Sarnafil introducing their décor profile which mimics the look of standing seam metal roofing.